Those hoping to get their ​Johnny Manziel fix this weekend will have to wait a bit longer. The newest member of the Alliance of American ​Football's Memphis Express will be among the reserves when the team takes on the Birmingham Iron on Sunday at home. Memphis assistant coach Brandon Blizzard suggested that Manziel was ready to go in terms of the team's playbook, but all the same, Brandon Silvers will be given the starting nod at QB. The quarterback situation has been fluid for the Express, who started the season with the highly questionable Christian Hackenberg behind center. That went about as well as anyone would have guessed. 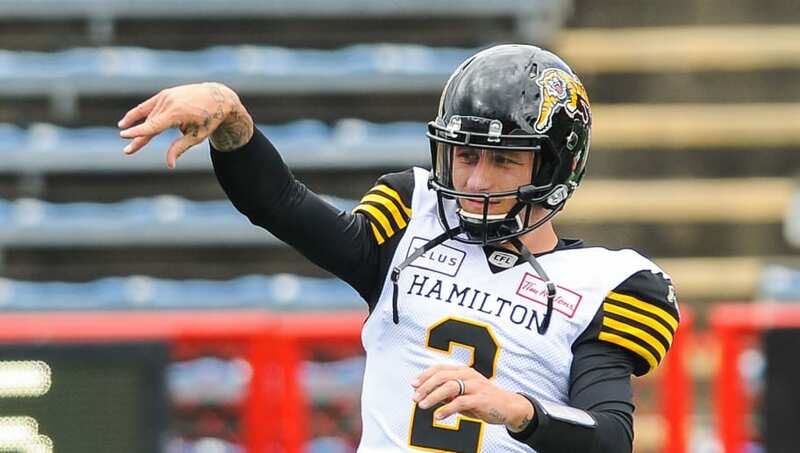 It's a brand new day for Johnny Football, who never looked like he had his head in the game during his aborted stint in the CFL. Now that he's back stateside, he's got a new outlook and a fresh chance to reclaim his mantle as a folk hero.